под общим 30 номером на драфте 2005 года. A mainstay on the Slovak Under-18 team for the past 2 years, the towering 6-7 Vladimir Mihalik is a product of the same poor and neglected Presov system that produced Ladislav Nagy almost a decade ago. Vladimir started the year on Presov’s junior squad and starred defensively and offensively for half a season (16 points in 23 games) before earning promotion to the senior squad, which plays its games in Slovakia’s first division. Vladimir was strong and mature enough to stick with the senior Presov squad for the 2nd half of the season. As a member of the national team, Mihalik’s play was shaky and tentative as scouts first got notice of his play at the August/04 Under-18 Junior Cup. Under the focus and scrutiny of the scouting world, Mihalik left many unimpressed with his inability and unwillingness to use his massive frame to physically overpower opposing attackers. Mihalik had obviously not fully adapted and grown into his large body as his footwork and stick handling left an awful lot to be desired. As the season wore on and Mihalik’s play with his Presov squad improved, so to did his play with the national improve concurrently. Mihalik was again selected to play for Slovakia at the 4-Nations tournament in November. Like countryman Zdeno Chara, Mihalik was used as a screen on front of the opposing goaltender on Power Plays. On the downside, Mihalik was a little tentative to use his massive size to squash opposing forwards like little bugs. April’s World-18 Championships proved to be the apex of Mihalik’s season as a year’s worth of lessons with Presov and the national team helped him with his skating and self-confidence. Paired with the smallest defender on the team (Tomas Brnak at 5’8”), Mihalik got away from ‘stick-checking’ and started ‘body-checking’. Vladimir tied for the team lead with a +2 rating and showed that he could defend his own zone like the mean giant he is expected to be. 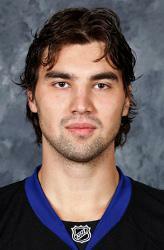 Vladimir accepted the Red Deer Rebels overtures and moved to North America to begin the 2005-2006 junior season. In December he was named to Team Slovakia for the U20 World Junior Championships where he played well with 3 assists in 6 games. 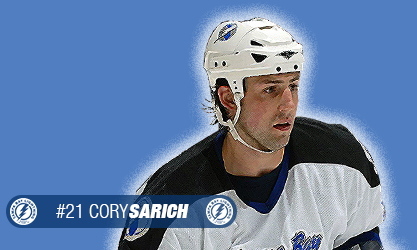 Prior to the season he attended his first Traverse City tournament and Lightning training camp. At Traverse City, the defenseman had just 1 assist in 4 games. Over the summer Mihalik was traded from Red Deer to WHL club Prince George.